It's naptime. I'm sitting in my living room in my underwear, practically on top of the air conditioning unit. I won't be posting any photos of that. 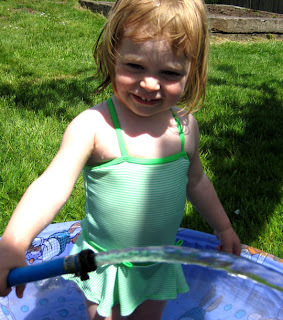 This afternoon, we pulled Claire's little purple plastic pool out and filled it up. It amazed me to watch how she played compared to last summer. She's not a baby anymore. 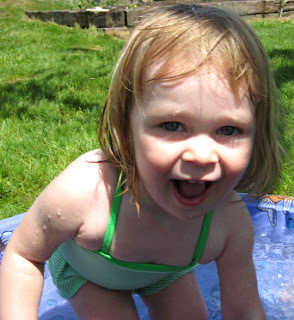 As I slicked her lil naked body down with sunscreen and then pulled her tiny swimsuit up over her tummy, I got nervous. It didn't look like the thing was going to fit. It eventually did, but why is it that mothers of boys always want their boys to be bigger and mothers of girls always worry that their girls are too big? My girl is lovely. 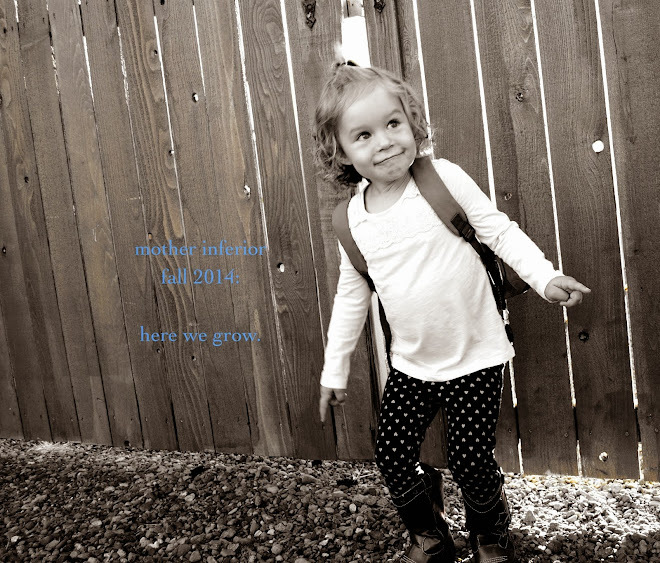 She has a nice, round toddler belly and inherited a longish torso from her Dada. Still, I had to push thoughts of worry out of my mind. She eats fine. She is fine. She is better than fine. She's happiest when she's naked. I want to instill in her a confidence about her body that makes junior high locker rooms a breeze and naked blogging when she's 6 months pregnant perfectly acceptable. I so agree about the bodies. Our little girls fight so much crap about how they have to look. I have (and will keep) talking to my girls about our body image as long as I can. 25 months: some things I want to remember. of washing machines and happymamaday! things i've done while pregnant.